I was a little stumped this month when thinking of a topic for my Best of OKC series. I considered doing best patios, but it is just so dang hot out I thought I'd save that for the fall when patio season returns. Then, it hit me.......best places to go with your dog! I'm a HUGE crazy dog lady and love my dogs more than life so it seemed fitting! 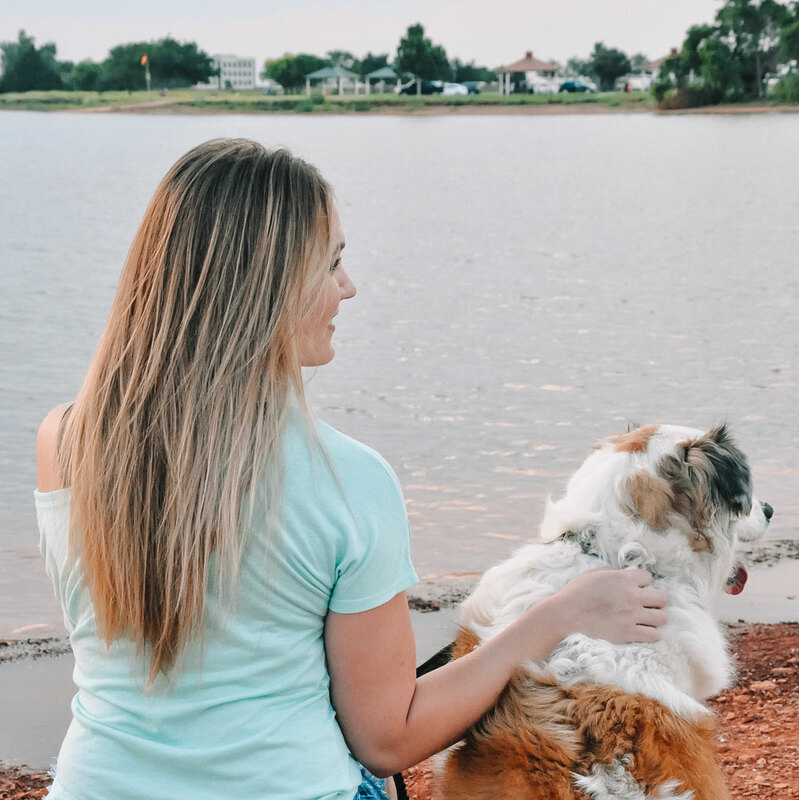 Chloe and Kylo don't get out as much as they used to.....two dogs are a little harder to handle than one and Kylo's elbow dysplasia makes things difficult sometimes, but we still like to take them places with us whenever we can! 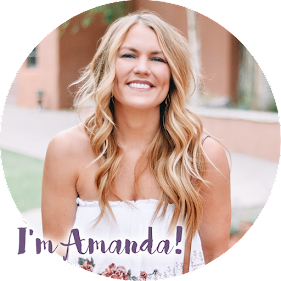 I rounded up their favorite spots in town below! 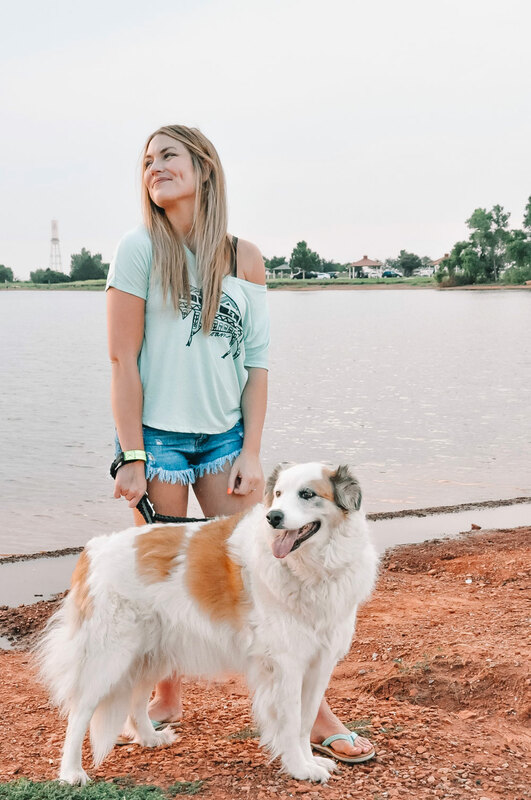 Chloe and I spent a LOT of time running the Lake Hefner trails back in the day (but avoiding the bridges because she refuses to cross them). Even thoughhe still knows where we are when we pull into the parking lot. These photos were taken right off the walking trail. Kylo LOVES visiting Pump Bar. He normally has a line of fans waiting to pet him. Most of Pump Bar is outside so there are dogs everywhere! We like to come here on weekend afternoons/evenings for a drink or two. They always bring a bowl of water for the dogs which is much appreciated. Sauced is a total hole in the wall but we love it and always have. Their patio is small but it is within bike riding distance from our house so we often ride down for a slice of pizza and a beer. Sometimes the pups get to tag along and they always love it! The only downside is that the patio is very small so if there are multiple dogs, they might get tangled. I love the Fassler covered patio, especially on rainy days! We've been bringing Kylo here since he was a pup. They often have pet adoptions and/or doggie ice cream socials and they always have dog water bowls all around. Right next to Fassler, Midtown Mutts Dog Park is always a fun place to stop and let the dogs get some energy out! It isn't huge, so it is easy to keep tabs on your dogs while they run and play. They have a really fun Christmas event for dogs that includes pictures with Santa! We used to live within walking distance to Paw Park and I'm sure Chloe really misses it. Back in the day she spent a lot of time there! There are separate areas for small dogs and large dogs; the large dog area is HUGE so there is lots of room to run and play. There is also a pond if your dog likes to swim but be warned, they will get filthy! 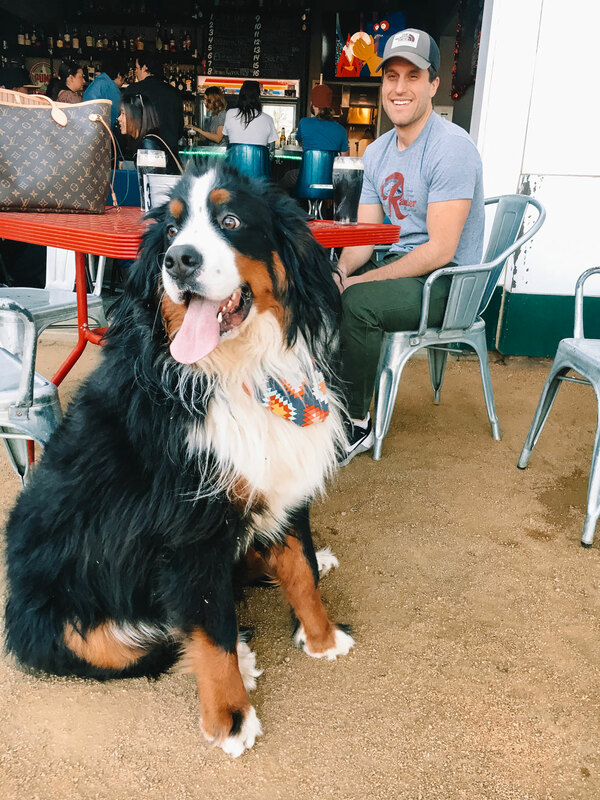 I've met so many cute dogs at Bleu Garten! It can get busy on weekends so if your dog isn't great with crowds, I wouldn't necessarily recommend it. BUT, if your dog is well behaved and loves people, this is the place to go! It is a great stop for drinks, food trucks and yard games. This little Deep Duece spot is so fun. It is located inside a shipping container and serves the yummiest craft cocktails and gourmet corn dogs. Dogs for the dogs, haha. There is a dog park more or less attached to it so the dogs can play off leash while you eat and drink! Hank's is named in memory of the owner's dog which I love! Because of that, they allow dogs inside the coffee shop. Back when we were selling our old house by Paw Park in the middle of winter, we would have to take the dogs elsewhere during open houses and showings. We always went to Hank's to warm up with hot coffee and the pups loved it. They had dog treats for the dogs and coffee, wine, baked goods and cheese plates for the people. The best! We first discovered Three Dog Bakery in Bentonville, Arkansas, where my parents live. We always make a point to stop by the store when we're visiting, so we were pumped to discover they opened a location in Edmond! Chloe and Kylo recommend the pupcakes. Note I had to include a picture of Kylo from a previous trip to The Pump Bar. 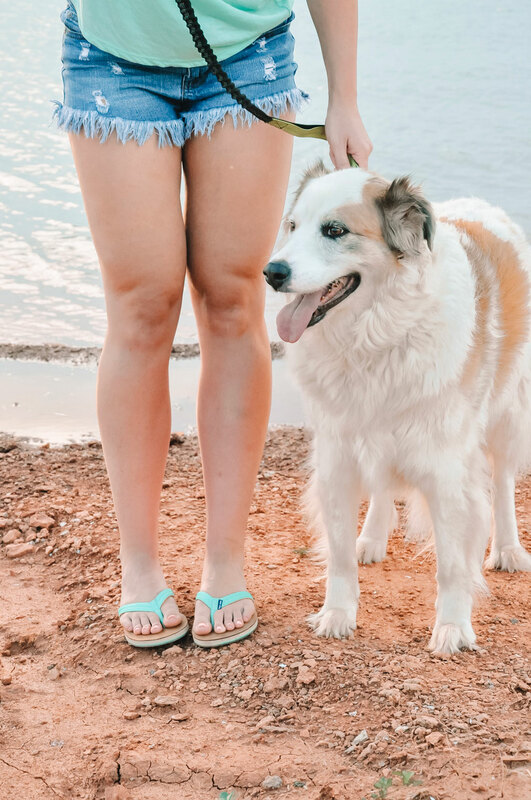 I just couldn't leave the cutie out of the post but he was not behaving at the lake for this photoshoot haha. That's on me, though; there were ducks in the water.....what did I expect?!! 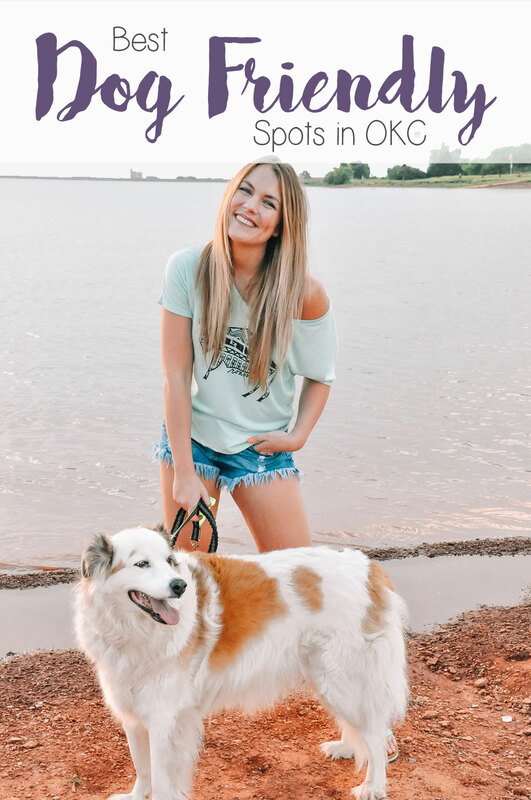 OKC friends, where are your favorite dog friendly spots? Or should I ask, where are your dog's favorite places to go? I'd love some suggestions for future adventures!